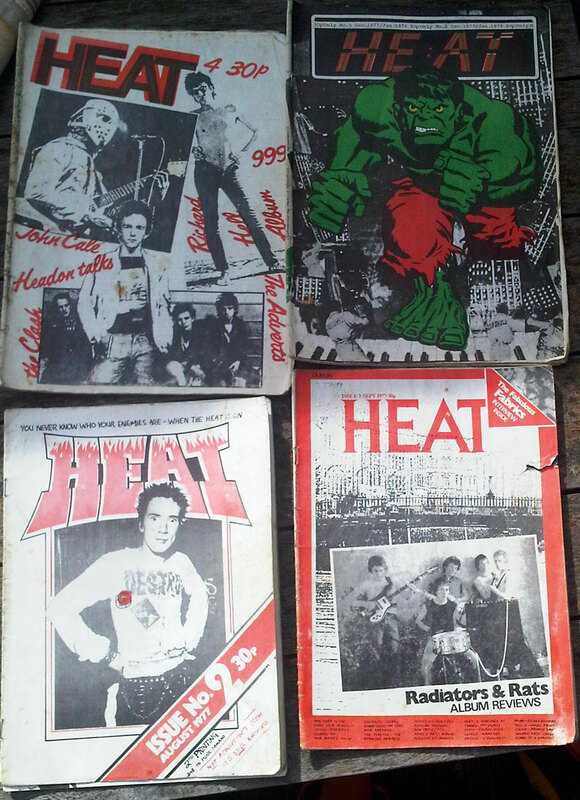 Here is a photo I took today of 4 of the first 5 issues of Irish Fanzine Heat. My brother held onto his copies. Issue 1 is missing from the collection. The first five issues of Heat were handwritten. 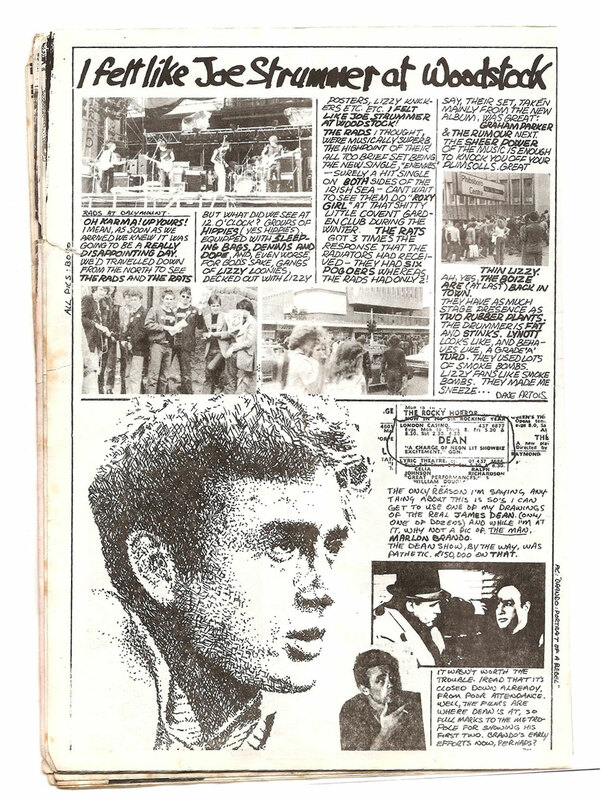 It was fun, it was stylish, it was Irish & was streets ahead of almost all UK fanzines. We loved it…you can even see from the photo, how well thumbed these copies are. It was ambitious too. They called it a magazine (not fanzine), it had colour, was well printed & bound & you could buy it in shops, including Easons. I’ve scanned in one page from Issue 3, a brief review of the Thin Lizzy gig in Dalymount Park, Dublin in August 1977. The interest here was that the Rats & more importantly the Radiators were supporting. Funny to see the pics of Phibsboro Shopping Centre looking as awful then as it does now & to read the anti ‘hippie’ sentiment (which was the punk de rigeur at the time)of the piece. I’ll do another post on on the 1978 Heat issues & may scan some more articles from these 1977 issues. Thats me in the picture!!! That’s one memory-jogger of a snap from outside Dalyer: Heat’s Ray Gunne and Pete Nasty, along with Mick and Paul from the Fab Fabs, and a very young version of myself, complete with original curly hair that’s long since gone. Heat was amazing. Still have every issue (somewhere in the attic), and only 90s’ movie mag Neon outdid it as a package as far as I’m concerned. Cheers for the memories and Up The Rads! ……And don’t you cut a dash with your fancy radiators (classic yellow on black, broken word) t shirts? Thanks for the info John. I wasn’t at the Dalyer gig but remember that photo well from the days of thumbing through Heat in 77/78. I never got to see the Fabrics. I loved the name. They were heavily featured in. Heat. I don’t remember Neon magazine at all…… going to keep an eye out for it now. Yeah, up the Rads, I still read a lot about the Rads Ghostown and it being the classic Irish Album, but TV Tube heart will always be the one for me. My |Back Pages…Glad you liked it. Loved it then and still do. The best. Young (Ray) Gunnes go for it! I wrote a review of the Rats at the Marquee, Wardour St. in one of the above. Apparently Sir Uncle Bob was not amused, and another one about the demise of punk in 1977! I also took a very blurred photo of Pete Nasty and Johnny Rotten at a reggae gig at the Rainbow. Crazy days. Eureka! I must have had my copies of Heat stolen by someone. 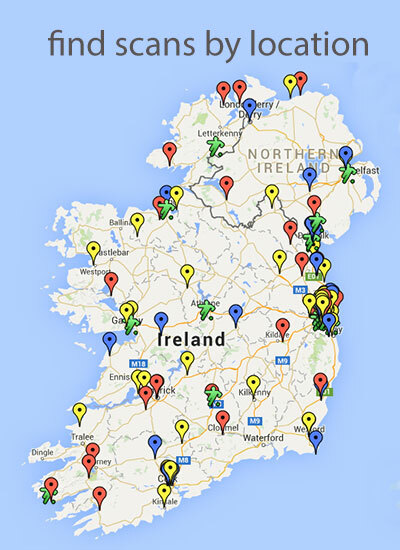 I was living in digs in Irelsnd in 1979. By the time I got back to the US and opened my trunk of records, magazines and posters all three or four of the Heats I’d managed to impound were not there. Please scan as many issues as you can, I’ll read every (handwritten) word!